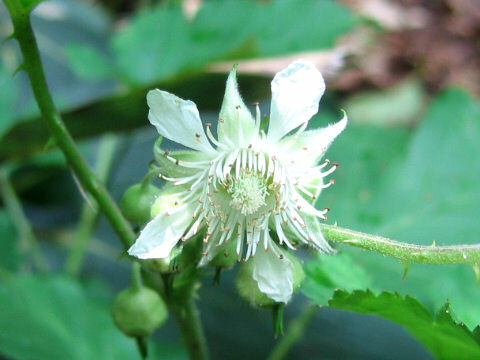 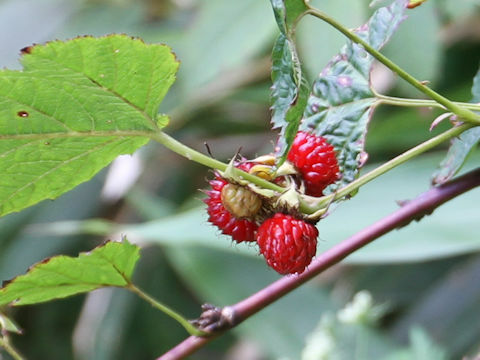 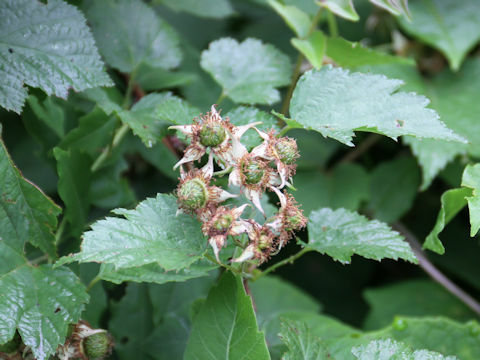 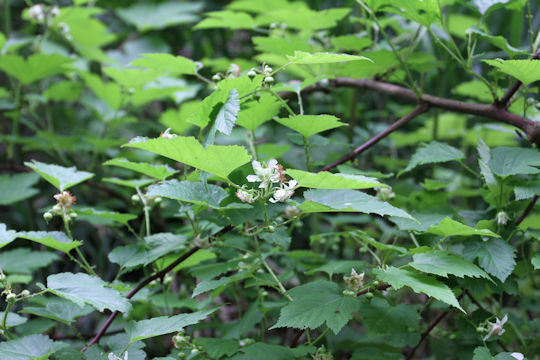 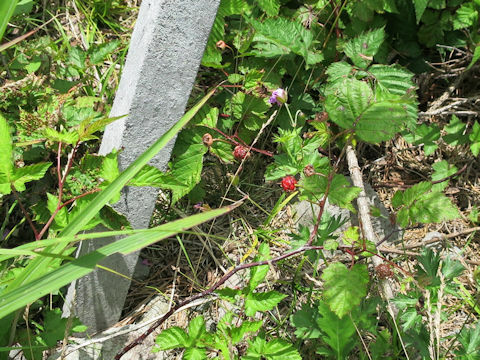 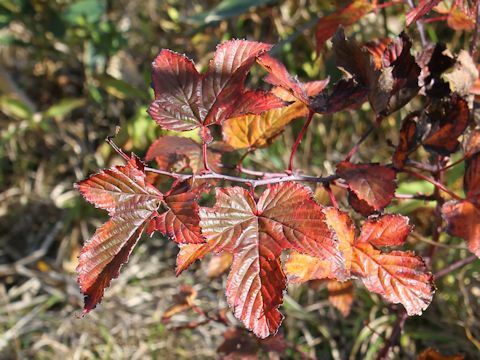 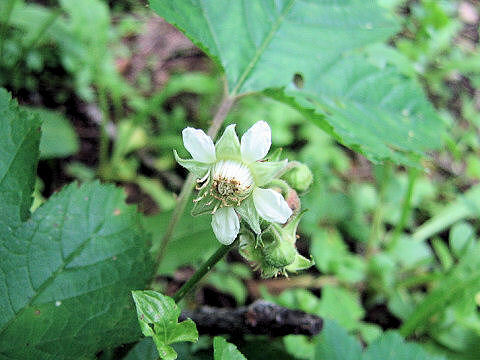 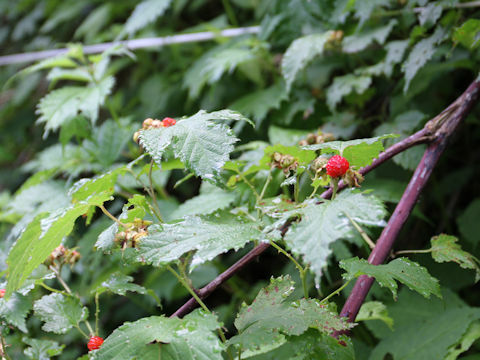 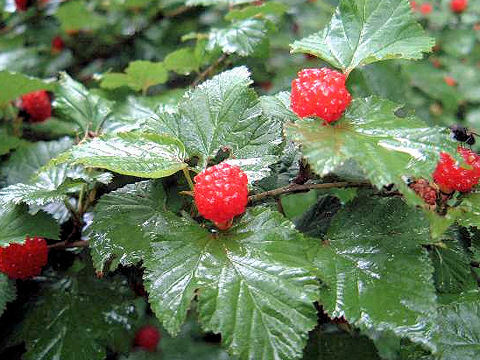 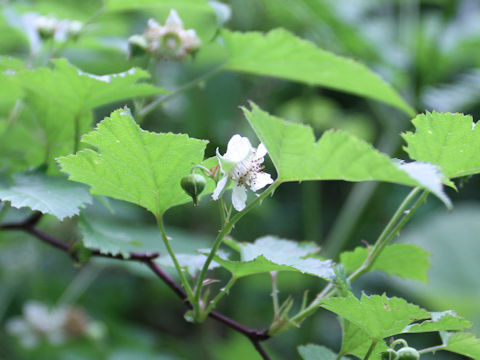 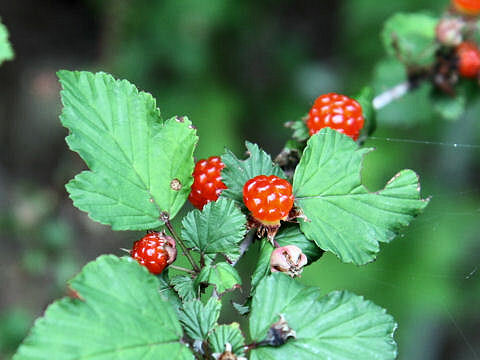 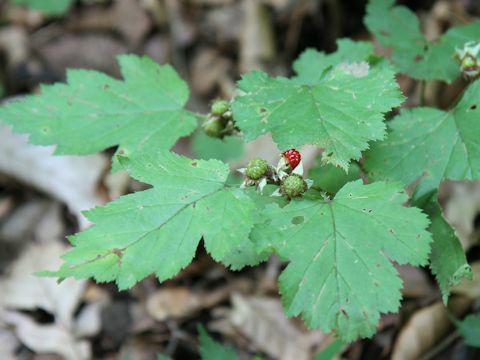 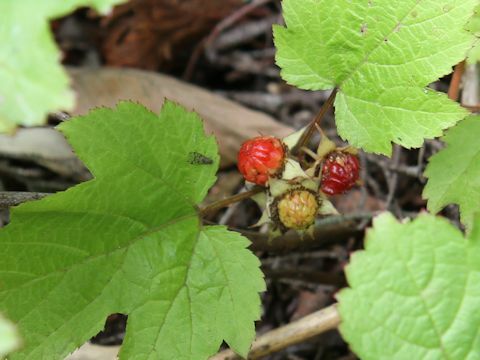 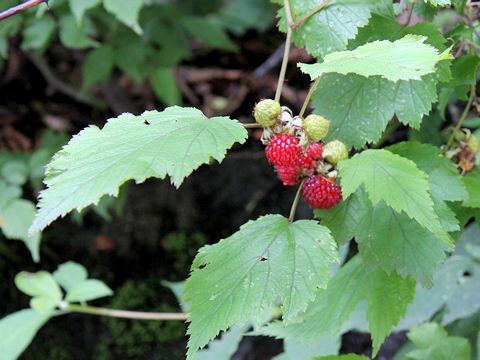 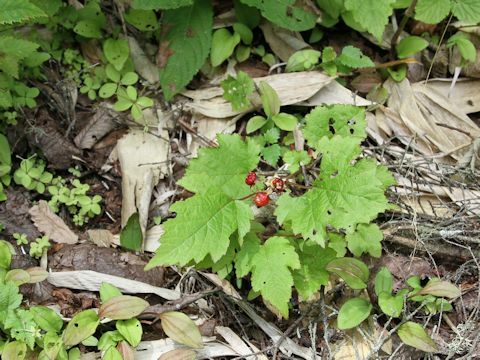 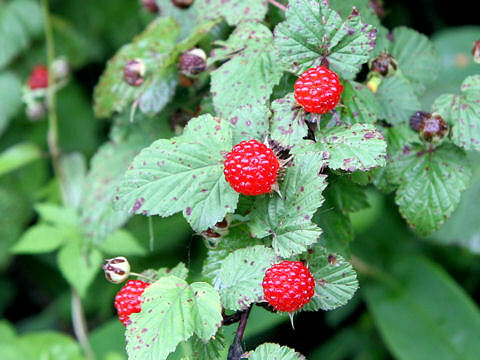 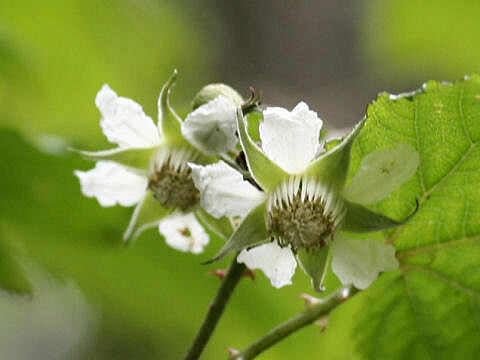 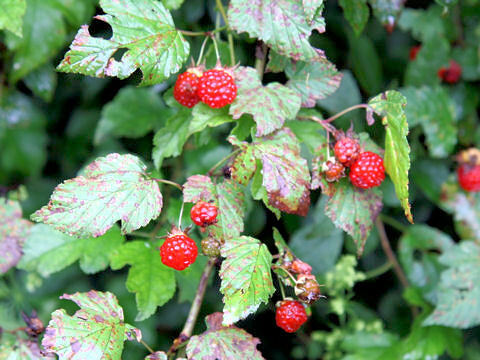 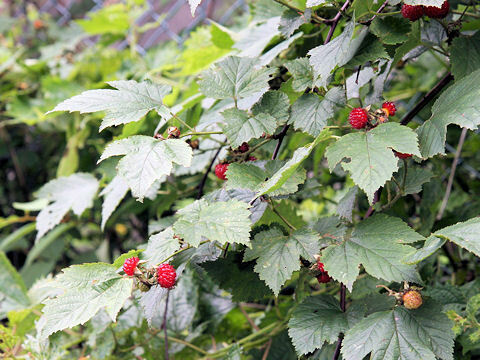 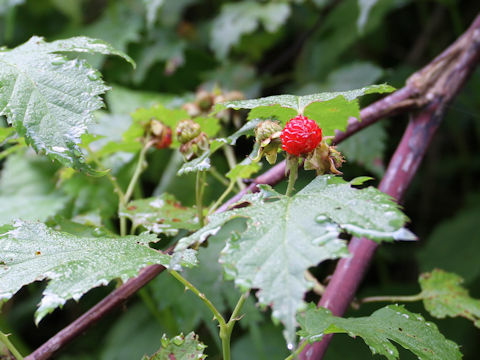 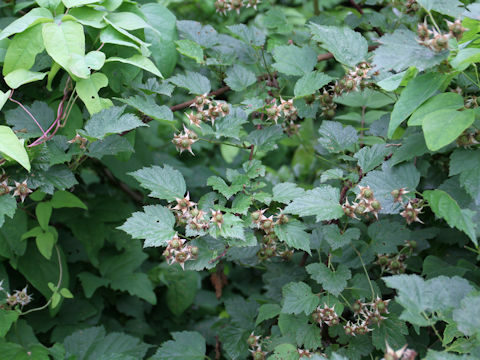 "Kuma-ichigo" (Rubus crataegifolius) belongs to the Rosaceae (the Rose family). 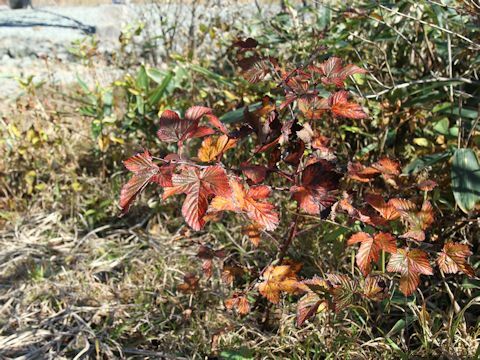 It is a small deciduous tree that is native throughout Japan, as well as the Korean Peninsula and China. 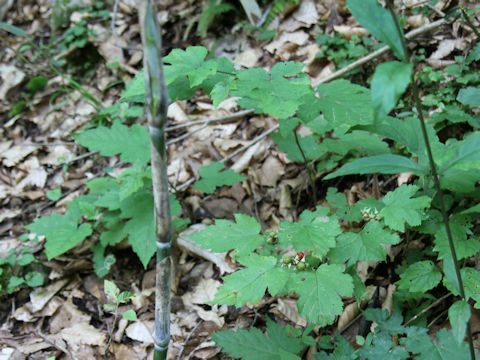 This tree grows in sunny mountains and can reach 1-2 m in height. 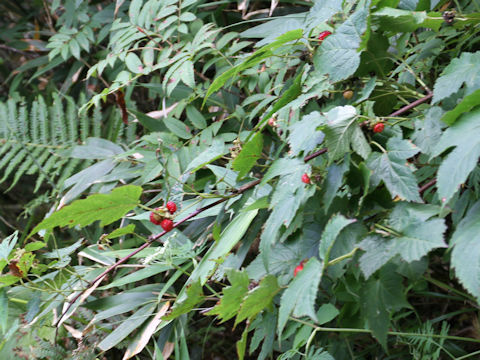 The branch is covered with many spines. 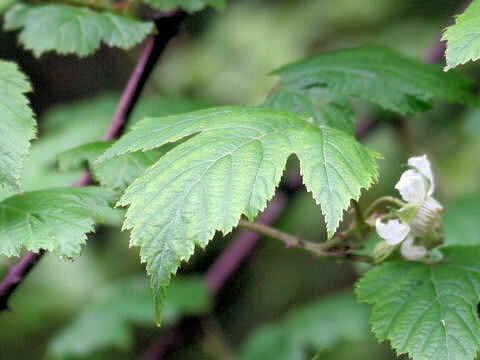 The leaves are broad-ovate and divided into 3-5 lobes. 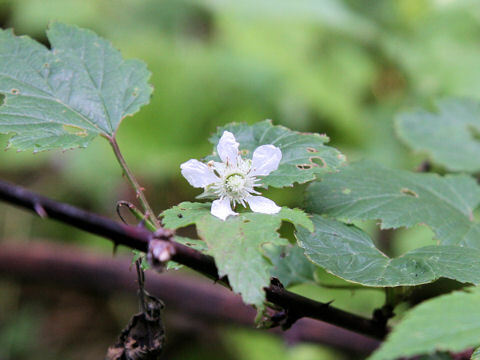 The white flowers come on the short twigs from May to July. 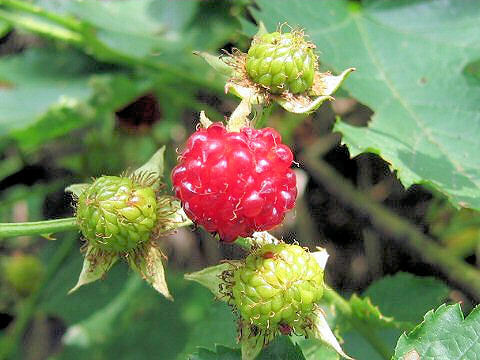 The fruits ripen red and sweet, edible.